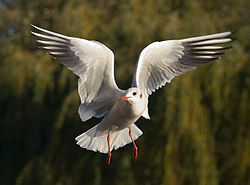 Gulls are not usually eaten by people. Wikispecies has information on: Laridae. Wikimedia Commons has media related to Laridae. This page was last changed on 31 May 2018, at 12:36.